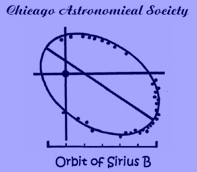 Our next general meeting will be held Tuesday, April 9, 2019, 7:00-9:00 PM, at the Adler Planetarium. This talk will describe the intimate relationship between astronomy and the Periodic Table by looking at how everything we learn about the distant Universe comes from dissecting starlight and starlight comes from excited atoms changing their energy states. We will start with a brief history of the Universe to see where atoms come from and the forces that hold them together. 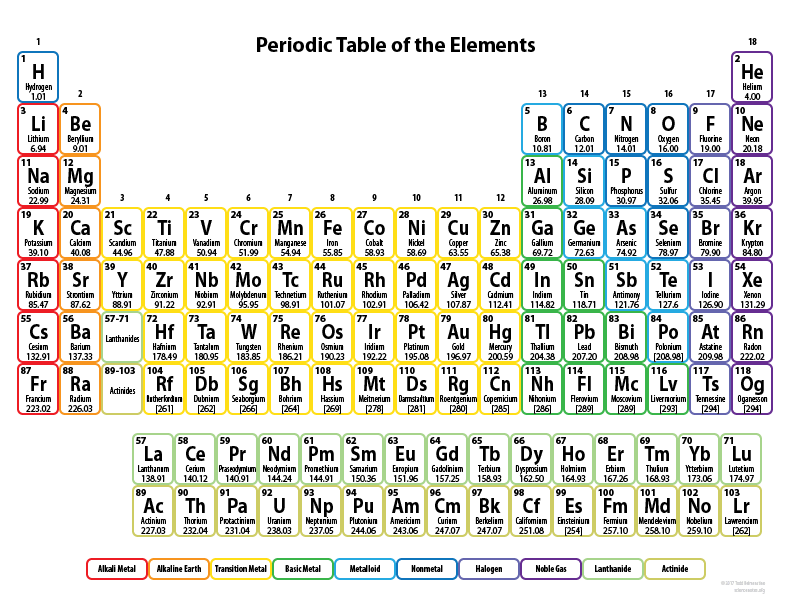 We will discuss how the electron shell structure of the atom allows them to give off light and organizes them into the Periodic Table. We will look at how the light from distant atoms in stars and galaxies changes as the galaxies move away from us. We will see how spectroscopy on starlight leads to the expansion of the Universe and the acceleration of the expansion now thought to be caused by Dark Energy. All of this comes from an understanding of the unique “fingerprints” of atoms in the light they give off. Larry Bartoszek, an Aurora, IL resident, has a dual degree in Mechanical Engineering and Physics from the University of Illinois and is an Illinois Licensed Professional Engineer. He is a member of the American Society of Mechanical Engineers, the American Welding Society, ASM International, the Chicago Society for Space Studies, the National Space Society, the International Space Elevator Consortium, and Mensa. Larry worked at the Fermi National Accelerator Laboratory for 10 years from 1983 to 1993. In his work at Fermilab he was responsible for the design of a 150 million dollar hadron calorimeter weighing 4,000 tons and many other accelerator and detector projects. Larry Bartoszek owns Bartoszek Engineering, a consulting firm which specializes in mechanical designs for the nuclear and high energy physics research community world-wide. Bartoszek Engineering has worked for many national laboratories, universities and governments on experiments all over the world. He has built machines up to three stories tall and 120 tons, as well as table top devices. His website is www.bartoszekeng.com Larry has served as a consultant to the Canadian government on a review of the SNO+ project, and has built neutrino horns for Fermilab and the Japanese experiment T2K. The MiniBooNE horn he designed for Fermilab holds the world record for surviving over 400 million pulses at 170 Kiloamps of current. He also helped build the 2.5 meter Sloan Digital Sky Survey Telescope. Larry started working on the Space Elevator as a hobby in 2004 and has given presentations at several Space Elevator Conferences, including the one in Washington, DC, in 2004, and the Space Elevator Conference in Seattle, WA, in 2013. Larry has created original designs for the climbers for the Space Elevator which have been published in “Design Considerations for Space Elevator Tether Climbers”, ISEC Position Paper # 2013-1. His work can be seen at http://bartoszekeng.com/se_calcs/se.htm . All of our general meetings are open to the public, free-of-charge. The main entrance at Adler will be closed, so please use the doors just south of the main entrance. of past meetings & events. Please follow our CAS website, Facebook and Meetup pages for meeting updates for this and other CAS activities. Are once a month. Please check the "Meeting Schedule"
for date, time, and location. Check our "Meeting Schedule" & "Hubble Lecture Series Sponsorship"
Welcome! CAS Stargazing Meetups are open to the public, including scouting & school groups, and are free. Please check with CAS Facebook page and website to double-check the LOCATION of the meetings. We have a couple stargazing meet-ups each month in the spring, summer and fall. These are free. Feel free to bring a telescope or binoculars if you have them. The indoor portion of these meetings are rain or shine. Click here to see a listing of Stargazing Meetups. Absolutely nothing happened in Sector 83 by 9 by 12 today.